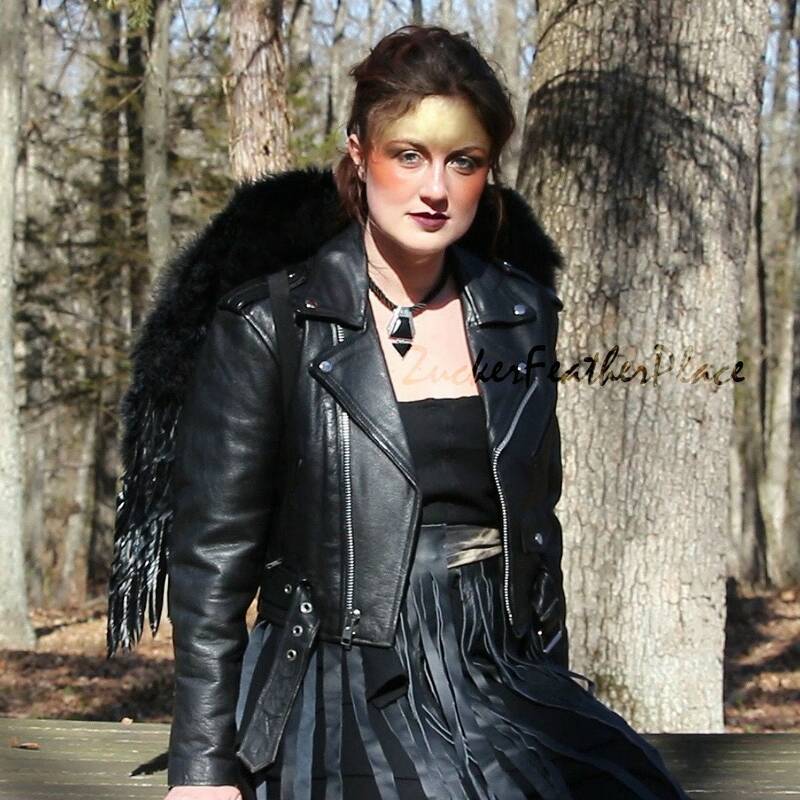 These Medium Economy Costume Angel Feather Wings measure approximately 23.5x22 inches and are made with Turkey Pointers, trimmed and lined with soft Turkey marabou. 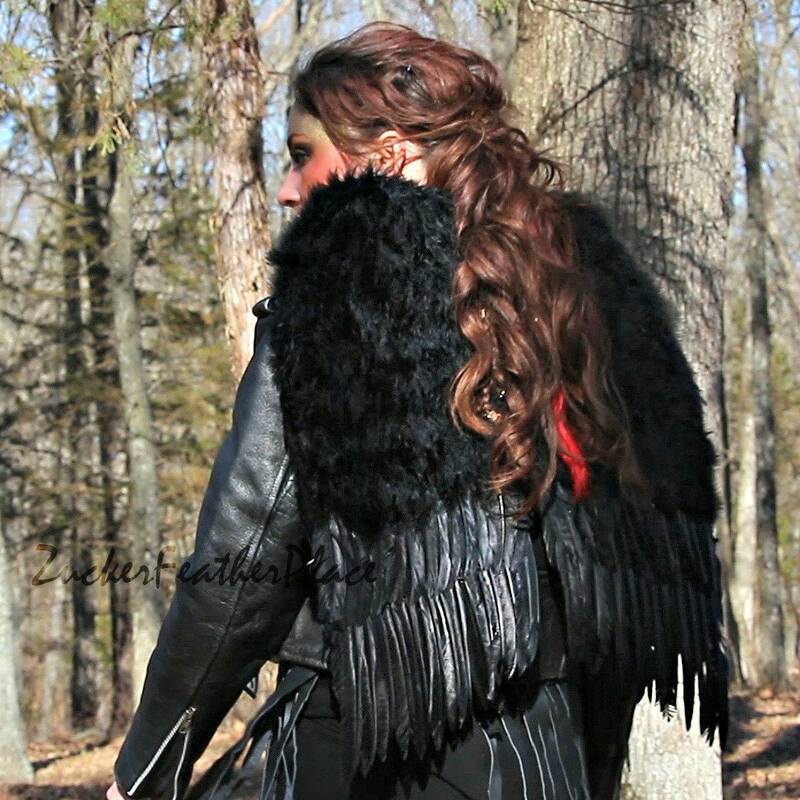 Perfectly proportioned for an adult, these wings are available in red, black and white. 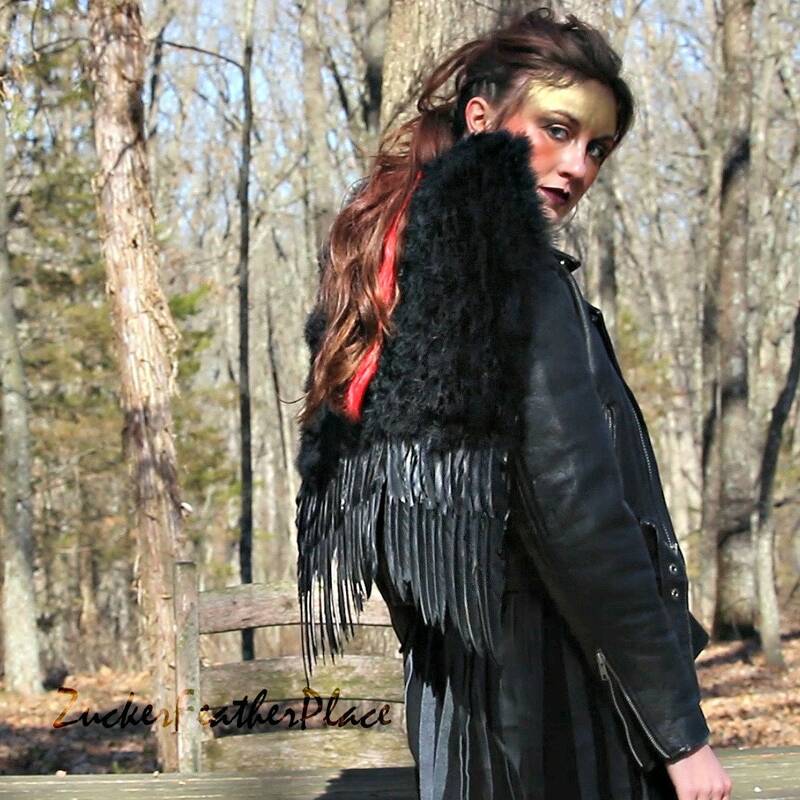 Complete your angel costume with these fabulous feather wings.